At Nordean Law in Costa Mesa, California, we devote our practice solely to helping those who suffered an injury or loss as the result of someone else's negligence or wrongdoing. Backed by our years of experience, we will help you secure full and fair compensation so that you can cover your medical expenses, lost wages and any other economic and noneconomic losses you may have incurred. Serving clients throughout Los Angeles, Orange, Riverside and San Bernardino counties, our law firm's founder, attorney Sam H. Nordean, has years of experience advocating on behalf of innocent accident victims and their families. Over the course of our history, we have recovered millions of dollars for those in need, and we promise to aggressively pursue the maximum amount of damages to which you are entitled. Whether your personal injury or wrongful death claim has arisen from a motor vehicle accident, an animal attack, an act of medical malpractice or nursing home abuse, you can trust we will work to make sure the insurance companies pay you what you deserve. Our law firm has earned a reputation for delivering personalized, compassionate counsel to help our clients through a very difficult and uncertain time in their lives, and we have received numerous positive reviews and referrals from those fully satisfied with the level of advocacy and support we provide. You do not have to suffer alone. 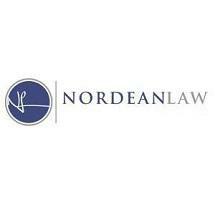 By contacting Nordean Law and taking advantage of our law firm's free initial consultation, you can discuss your claim with a local and dedicated attorney and begin the process of securing a brighter future for yourself and your family.